All Android smartphone users know the not-so-likable feel of using any third party skin on top of the Android operating system. 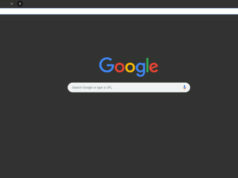 Hence, in addition to the stock Android, Google also came up with an initiative called the Android One initiative to provide a pure Android experience to users on a budget. As all Android users crave for is clutter-free and clean usage, I present you with a list of Android One smartphones you can consider for yourselves. But before that, let me give you a brief on Android One. What Is Android One Program? Started back in 2014, the Android One initiative by Google was introduced with an aim to provide a pure Android experience to users on budget smartphones. While initially, it was an experimental program, its faster software updates made it popular and now we have Android One for all of us. Apart from the faster updates, Android One brings along support for up to three years with optimized support for Google Assistant. Additionally, smartphones running Android One won’t come accompanied with bloatware (we all hate the presence of it) which will make sure the smartphone storage is more than enough and the battery lives longer. And of course, there is Google Play Protect for all the security we need. The device has a triple-camera setup and has a punch-hole display, all packaged to deliver a pure Android version. 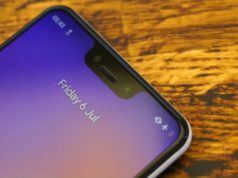 The most recent smartphone to join the Android One program is by the initiative’s best friend Nokia, called the Nokia X71. 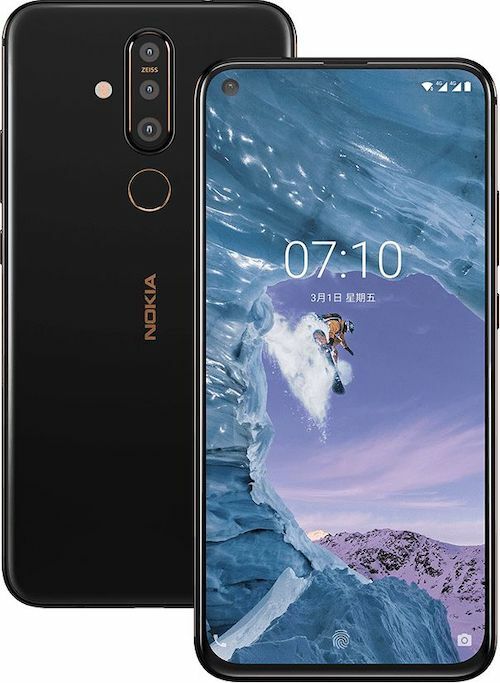 The Nokia X71 falling under Android One with Android 9.0 Pie, has a 6.39-inch Full HD+ punch-hole display as its primary highlight, becoming the first Nokia smartphone to come with one. The second highlight is the camera department, comprising three rear cameras (48MP, 12MP, 5MP), with a 16MP front-facing shooter. The cameras come with support for AI-based camera features. The third attraction is the presence of an in-display fingerprint scanner. One thing that fails to attract me is the Qualcomm Snapdragon 660 AIE processor powering the device; it could have included a better processor like maybe a Snapdragon 710. Additionally, the device comes equipped with 6GB of RAM, 128GB of internal storage, and a 3,500mAh battery. It has dual rear cameras which is good for a Motorola device! 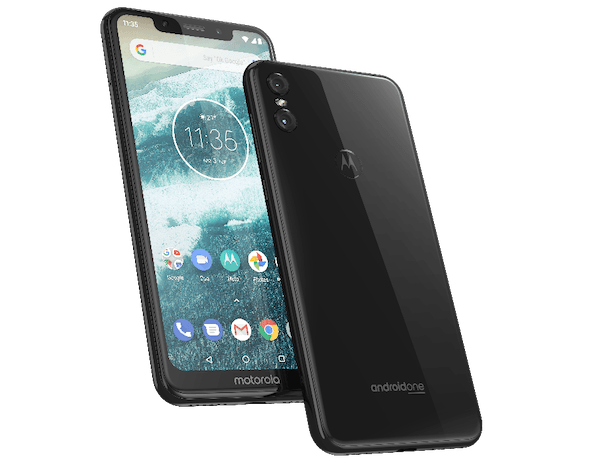 Motorola One is the most recent Motorola smartphone to arrive in India and it falls under the Android One program (with Android 9.0 Pie) which acts as its highlight. However, in addition to ensuring faster software updates, the Motorola One also has a 5.9-inch Max Vision HD+ display and dual rear cameras (13MP each) as its other attractions. Additionally, the selfie camera stands at 8MP. It is powered by a Qualcomm Snapdragon 625 chipset and comes with 4GB of RAM and 64GB of inbuilt storage. Furthermore, there is a 3,000mAh battery and a rear-mounted fingerprint sensor. The cameras, coupled with a 18:9 display and decent battery, make it a good budget option to go for! 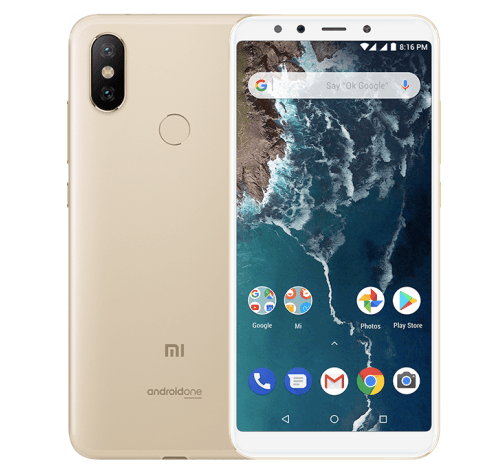 Xiaomi’s second iteration in its Android One smartphone series, the Mi A2 is another option in the Android One arena. The smartphone sports a 5.99-inch Full HD+ 18:9 display and is powered by a Qualcomm Snapdragon 660 AIE processor. Camera-wise, the Mi A2 has dual cameras at the back, rated at 20MP and 12MP, while the front snapper is configured at 20MP. All the cameras come with support for AI-enabled features. The smartphone comes in two RAM/ROM variants: 4GB/64GB and 6GB/128GB and is backed by a 3,010mAh battery. Furthermore, there is a fingerprint scanner at the back. The Mi A2 comes in Gold and Black color variants. Sadly, the device is not available in the US. 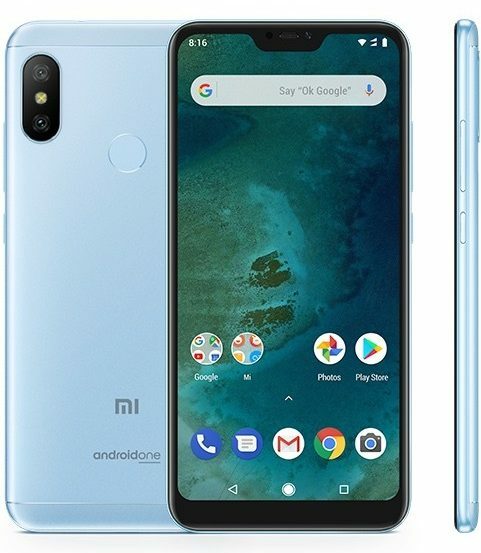 In addition to this, the Mi A2 has a laddered-down variant, dubbed the Mi A2 Lite. The device comes with a smaller 5.84-inch notched display, lower RAM/ROM options (3GB/32GB, 4GB/64GB), and lowered-down camera configuration (12MP and 5MP dual rear cameras and a 5MP front snapper). The device is backed by a larger 4,000mAh battery, has Android 9.0 Pie Android One version, and a back-placed fingerprint sensor. Mi A2 (starts at Rs 11,999, via Mi.com), Mi A2 Lite (not available in India). The 20MP front camera, the PureDisplay, and the Snapdragon 710 processor are all the reasons to buy it! 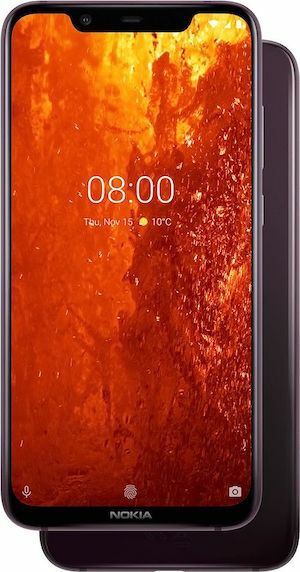 The Nokia 8.1 recently made its entry in India with Android 9.0 Pie, under the Android One program. The smartphone has two attractions: a 6.18-inch Full HD+ PureDisplay and the cameras (dual rear – 12MP and 13MP and a 20MP selfie camera). Furthermore, the cameras come with OIS, ZEISS Optics lens, AI-based features, and dual-sight live streaming. The device has a Qualcomm Snapdragon 710 chipset and multi-tasks with the help of a 4GB and 6GB of RAM options. The device has two ROM variants: 64GB and 128GB, a 3,500mAh battery with fast charging, a fingerprint scanner, and audio by OZO surround sound. Rs 26,999 (4GB/64GB) and Rs 29,999 (6GB/128GB), via Amazon India. IP68 water and dust resistance and the bezel-less display seem like a deal! 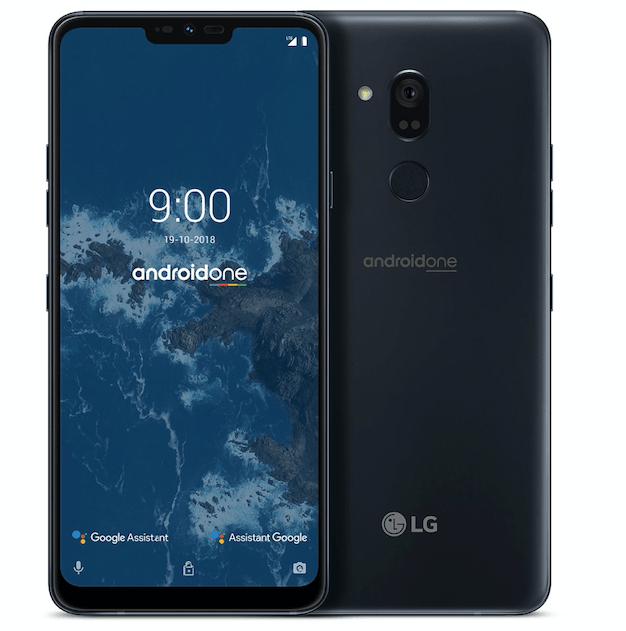 The first smartphone to hop onto the Android One bandwagon is the LG G7 One, which comes with a 6.1-inch QHD+ FullVision Super Bright display and is powered by a Qualcomm Snapdragon 835 processor. On the camera front, there is a 16MP primary camera and an 8MP front snapper with an AI Cam. The device has 4GB of RAM and 32GB of expandable ROM. Backed by a 3,000mAh battery, the G7 One has support for IP68 water and dust resistance, a rear-mounted fingerprint sensor, and Face Unlock feature. 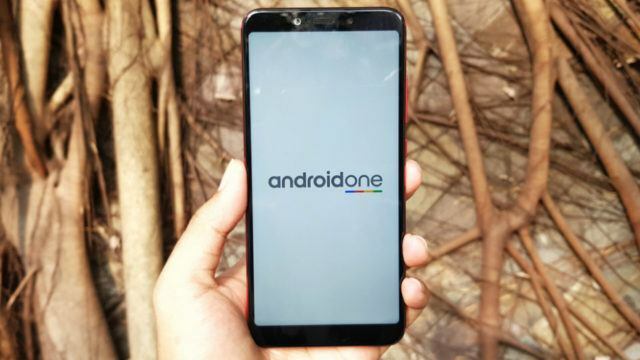 Just to clear the air, 2019 will see the launch of more Android One smartphones. So, this list will be updated each time a new device is introduced under the Android One initiative. Also Read: Stock Android vs Android One vs Android Go: Which Android Is Best For You?